Ella Blues by Chinta Ria joined our Mission to help provide access to “Clean Water for All by 2030”. This Mission was initiated by the United Nations. 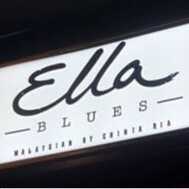 A big thank you to Ella Blues by Chinta Ria’s team and customers for joining this extremely important mission on 07 May 2018. Chinta Ria is Love & Happiness established in 1988. Chinta is about tasty, fun food in a cool, comfortable environment : the food is based on that funky fusion of three races ( Malay ,Chinese and Indian ) that meet and mingle in Malaysia.